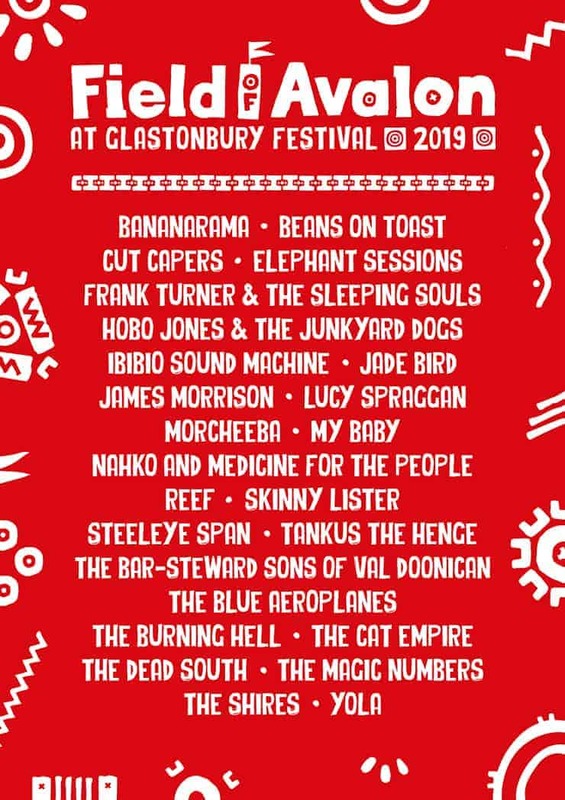 The Field of Avalon is the second area to announce its line-up for Glastonbury 2019, following Silver Hayes’ revelation just a couple of days ago and the first Glastonbury 2019 official line-up poster, which dropped last month. Taking to the socials earlier today (April 16), Field of Avalon revealed its line-up poster for this year’s event and by doing so adding more acts to the ever-growing 2019 roster. Morcheeba, Reef, Bananarama, James Morrison, Frank Turner & The Sleeping Souls and Glastonbury staple Beans On Toast are just some of the names announced to take to the Field of Avalon this June. See their full line-up below. Known for its folk and roots music with a focus on the arts – boasting stages, a pub, a great range of delicious food outlets, fairground attractions, and a plethora of stalls selling books, vintage clothes, and circus paraphernalia – some would argue that Field of Avalon is kind of a festival within a festival (although coming to think about, you could say that about practically every area of Glastonbury Festival). With around 2,000 performances at over 100 venues – it is expected that the rest of Glastonbury’s individual areas and stages will be releasing their 2019 line-ups and plans in the days and weeks ahead. Follow Field of Avalon on Facebook, Twitter and Instagram.